Almost all adult dyslexics who share their personal histories mention having feelings of shame as a child (and sometimes as an adult) that created a major difficulty in living with dyslexia. 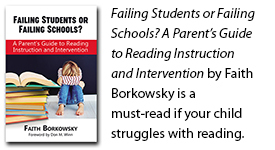 Children fear revealing to their parents that they cannot read. If they don’t know they are dyslexic, they may feel ashamed and think that they are stupid because they can’t keep up with their classmates when it comes to reading and spelling. This has a crippling effect: as humans, when we feel shame, we are distracted from our tasks and cannot give them the necessary attention. If it’s a secret, it’s scary. It is human nature to fill an information void with worst-case scenarios. Ironically, a decision made to protect a child from a diagnosis of dyslexia can often breed shame and fear. When a student who has been tested for dyslexia sees parents and teachers whispering together and being discreet, it screams of shame. Parents and teachers can help prevent this by discussing a diagnosis of dyslexia openly with children in a way that won’t cause them embarrassment. With the right information, parents and teachers can develop an academic plan to help dyslexic students minimize their weaknesses and maximize their strengths. Students can be involved in crafting this plan as well. Help your children be their own advocates. In time, they will have to speak up for themselves in order to receive the assistance or accommodation they need in a learning environment, so get them involved in their own educations at an early age, keeping their level of involvement appropriate for their ages. If your children show signs of dyslexia at a young age, consider having them tested. It may be easier for them to know early in their school careers that they have an actual, specific problem that many other people share than to spend a few years feeling stupid or bad about themselves because for some unknown reason, they can’t keep up with other students. 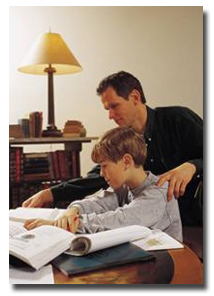 Encourage your children to speak openly about their dyslexia. Help your children focus on their own individual strengths. Help your children develop patience and perseverance. This is a hard one, but check back next week for a few possible starter ideas on how to do this.